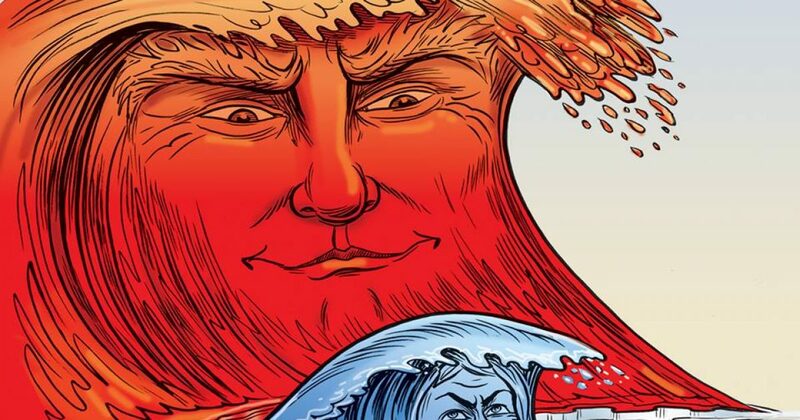 Just as soon as they realized Hillary lost, liberals started looking for a blue wave to save the day. Soon they will see it’s not happening. 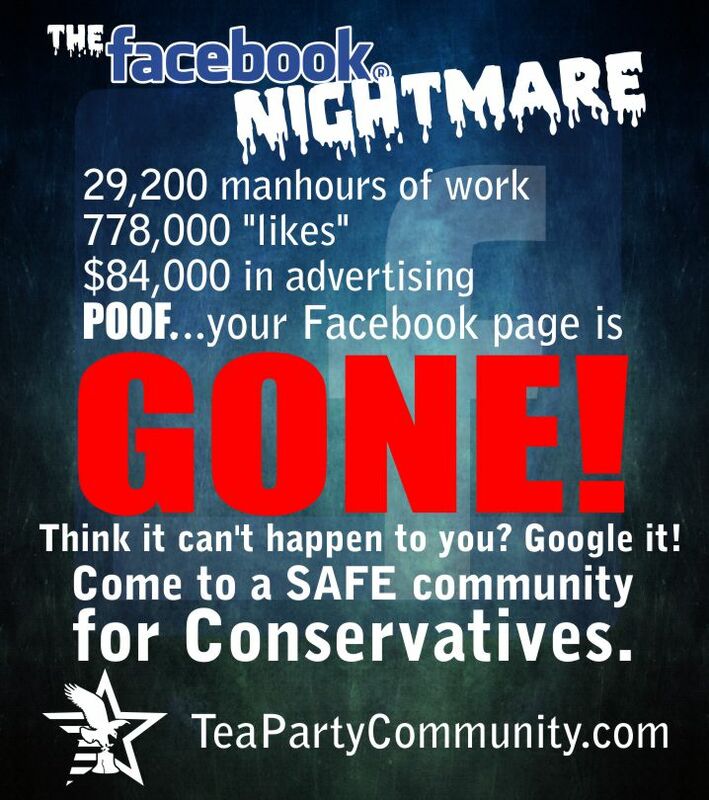 In fact, social media buzzes 24/7 with Trump support, despite algorithms designed to silence conservatives. Since the inauguration of President Trump, a myth has been spun by the mainstream news media that a political “Blue Wave” was going to surge across America in opposition to the President’s political agenda of the last two years. History showed similar trends had occurred under President Reagan in 1986, President Clinton in 1994, President Bush in 2006, and President Obama in 2010. Conventional wisdom, and 2017 off-year losses, were painting a grim picture for Republicans heading into the 2018 midterms. But the tide turned. With the fiasco of the Kavanaugh confirmation, Democrat hopes quickly eroded. And we’re not talking the typical grassroots activists, but key members of the Democrat leadership. Examples include: ‘Madame’ Pelosi; ‘Mad’ Maxine; ‘Superfoot’ Holder; ‘Queen’ Hillary; ‘Spartacus’; Kamala ‘the Genius’; ‘Ladykiller’ Ellison; and ‘Jefe’ Tom. In fact, these leaders support using violence against Republicans as a weapon of intimidation in the 2018 midterms. Of course, this isn’t their first time employing this tactic. Over the last couple weeks several stories that should have been headline news, but because it is a Republican administration in fractured times (and its Donald Trump in the White House), it is news that many in the mainstream news want spiked before the midterms. As the New York Times tepidly reported, unemployment is under 4%! The unemployment rate for those without a high school diploma fell to 5.1 percent in July, the Labor Department reported Friday, the lowest since the government began collecting data on such workers in 1992. Over all in July, employers increased payrolls by 157,000, while the unemployment rate edged downward to 3.9 percent, near the 18-year low achieved in May. The data echoed other positive economic news recently, including a report last week showing the economy grew by 4.1 percent in the second quarter. Remember when then-President Obama said the loss of manufacturing and 2% economic growth were now the “New Normal”? Well President Trump turned that whole narrative on its head! Trump’s policies, and just as importantly, the expectation of Trump’s policies, ignited a manufacturing resurgence. In the first 21 months of the Trump presidency, non farm employment grew by a seasonally adjusted 2.6%. 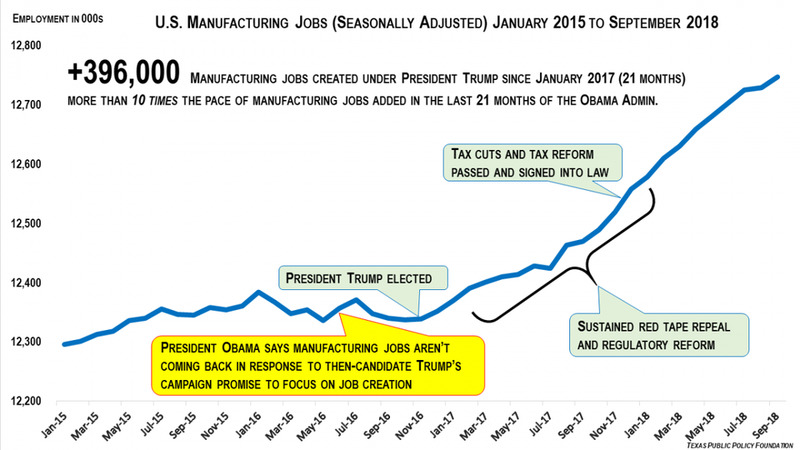 In the same period, manufacturing employment grew by 3.1%, reversing the trend under Obama when overall employment grew faster than employment in the manufacturing sector. First and foremost, Obama piled nothing but regulations on the business world. Obviously, investors were scared to lose their capital to a venture regulations might squash. However, Trump stepped in and cut the red tape. He even exceeded Reagan’s pace. Last, but not least, the Republican Congress helped Trump change the tax code in an unprecedented fashion. President Trump delivered on a major overhaul of the tax code, including a significant cut to business taxes as well as a change to the treatment of overseas profits that incentivized the repatriation of some $300 billion in the first quarter of 2018 out of what the Federal Reserve estimates is $1 trillion in multinational profits held abroad. Just how good has manufacturing improved in America? United States Steel workers are set to get the biggest wage jump in at least six years under a new deal negotiated with the company, providing early signs that gains from U.S. President Donald Trump’s clampdown on foreign imports are finally trickling down. It comes at a time when U.S. wages are growing at the fastest pace in more than nine years. The steel industry is not alone! US consumer confidence is at a two-decade high, with a 4.2% GDP output. 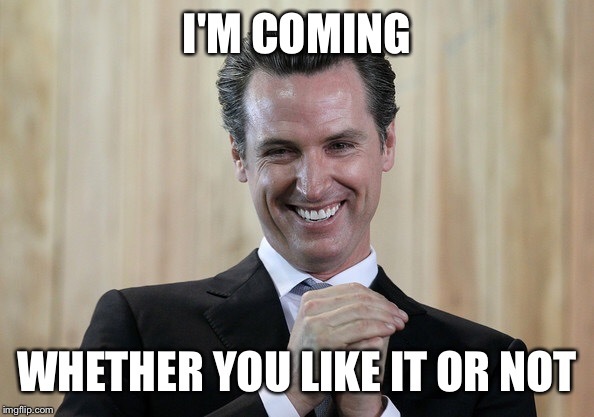 This action likely to lead to yet another legal fight with the soon-to-be womanizing Governor Gavin Newsom, the big-bully ‘substitute’ Attorney General Xavier Becerra, and an environmental movement that advocate feeding a vegan diet to carnivorous house pets. consumer spending power nationally, and as previously reported, Asian women in California have stepped up to lead the Republican political charge in California’s 2018 midterm elections; infact the GOP is enjoying an overall ‘numerical rebound’ amongst women; and lastly, it turns out those precious Millennials might be more Center-Right than most “experts” had predicted. In other words, the Democrat Party wants to turn the entire country into…CALIFORNIA!